Sakura, moyu music collection. One of the most expensive soundtrack album I’ve ever seen. Kinkoi GT pillow cover, starting off with Mina. Wow they’re really doing it. Not sure if I’m getting this one. Melonbooks New Japanese Era Calendar. With tapestries and stuff. Maybe will get one if Muririn’s is good. Tamano Kedama tankoubon, Tora no Ana tapestry bonus. Dengeki Otona no Moeoh Vol. 08 goods. FGO x Tsukihime collaboration event. Lol. 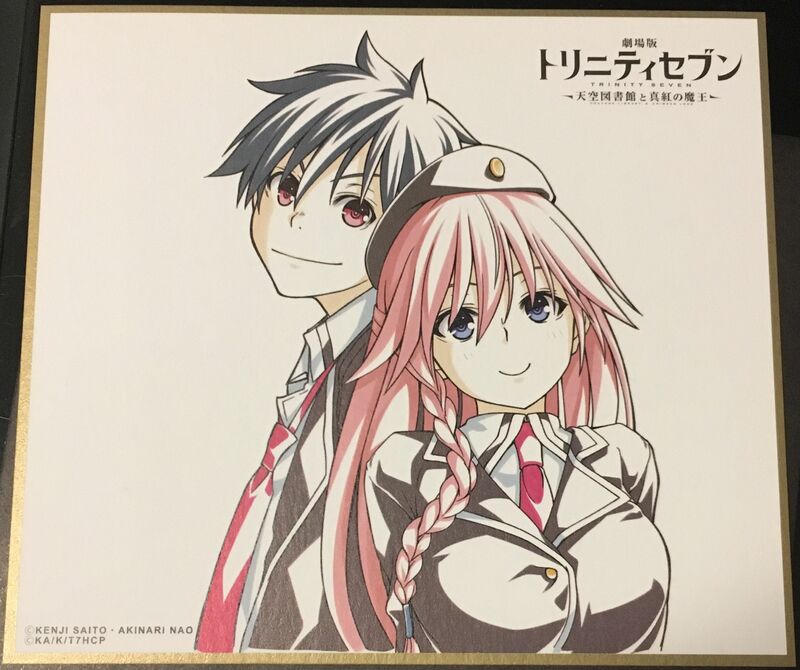 Shikishi from the latest Trinity Seven movie. Wanted anything but this one. Yay. Also it’s not quite proper shikishi sheet but just thick paper. Yay more Ema. 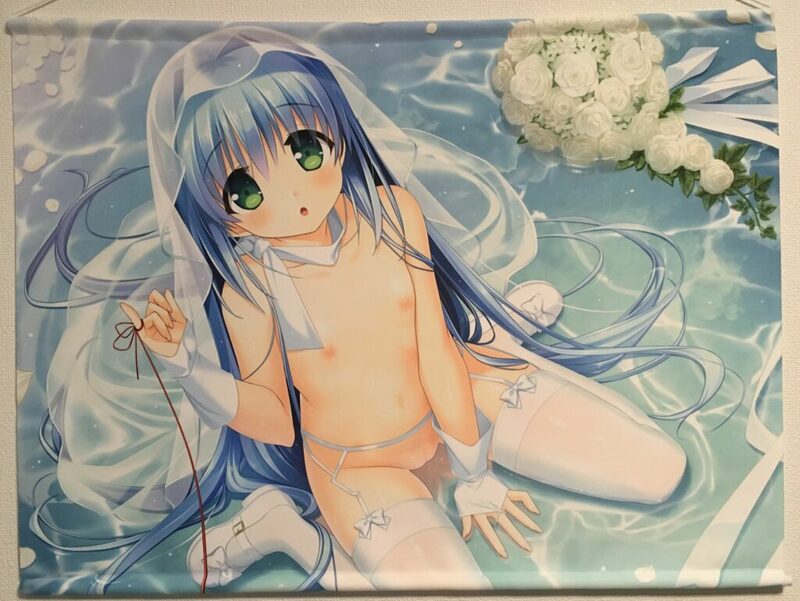 Latest Kurafuta tapestry from 2019 Spring Goods. Wedding… veil with white knee-socks and garter belt and arm… cover? Yum. Double suede material with pretty good print as usual. Also usual: thin pipe which already bends. As mentioned last week, Tora no Ana bonus of Sakura, Moyu. Yay flats. Thin, common material instead of the unique Tora no Ana material. Now I think about it I haven’t seen the Tora no Ana material for a while now. Maybe they’ve given up on that one? The print is mostly okay. A bit blurry and the coloring is Favorite Soft unique. I did finish Nekonin 2 Love Plus though. And discovered they’re making Nekonin 3. More Ritsu plsthx. More FGO event. Still haven’t finished the main story. Watched Trinity Seven movie. It was short and quite packed just like the previous one. The animation is a bit derp at times but everything else is pretty good. Still liking the music. Maybe I should buy the OST or something. I haven’t looked into it at all. Sold five items with about 60% loss. Um. PC parts sure depreciate in value pretty fast. And then I’ll probably buy them again in three years when Windows 8 support ends or something else comes up forcing me to leave Windows 8. Put up more PC parts for sale. And even more this coming days as I really need to free up space. Then maybe back to selling tapestries and pillow covers. I haven’t sorted stuff for Suruga-Ya either. That will be fun. There’s no PC parts purchases planned for this month so I should have enough budget for upcoming events this month. There are still quite a few stuff I need to purchase but they can wait. I think. The flight ticket on the other hand, I don’t know yet. I’m looking at about at least 50k. Not to mention the schedule is kind of bad as well with the shipment of Kinkoi GT BugBug tapestry. There’s another stupid thing as well so I’m not sure yet how this crap will unfold. Oh and that seller at YJA, looks like he’s ignoring me now and not bothering sending pieces goods at all. I ended up buying the full games on each stores and they should come sometime this week. No update on eroge purchase plan yet.